The Independence weekend is coming up and Forward Mutual wishes everyone a happy and safe celebration. A good place to start? 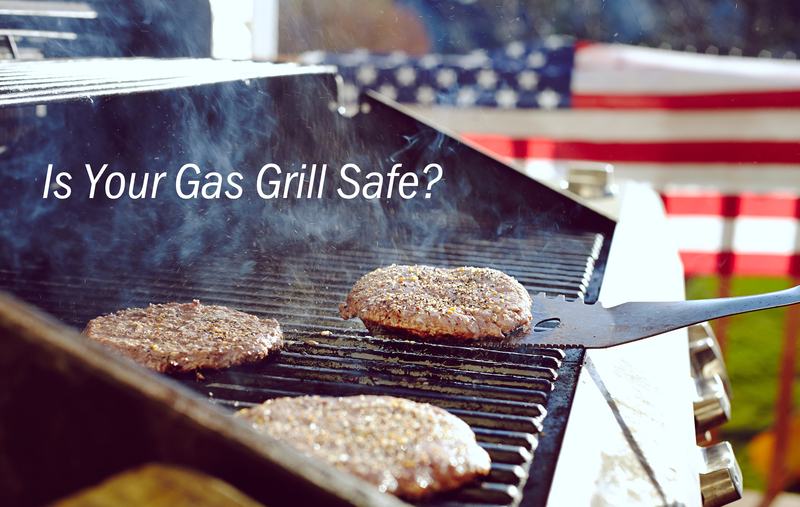 Verify that your liquefied petroleum (LP) gas grill and power recreational vehicle units are safe. When it comes to LP gas, what you can’t see can be harmful, even volatile, if a tank or regulator begins to leak. Our reinsurance company Grinnell Mutual offers this helpful guide on the properties of LP gas and what to do if a leak occurs. LP gas, also referred to as LPG or propane, is invisible to the human eye and naturally odorless. Manufacturers add an identifying odor to the gas so a leak can be detected. Because LP gas vapor is heavier than air, it will sink to low-lying areas. If a leak occurs within a building or near an exterior door or window opening, the gas will seek the lowest level of the structure. In addition, it is highly flammable when it encounters an ignition source. If an LP tank is used up during grilling, always wait until the grill is cool to replace the empty tank. Never attempt to change tanks and re-ignite the burner while the grill is still hot. Once the tank is replaced, check for connection leaks before using the grill. Remember, portable tanks should always be stored outdoors and the valves closed when not in use. With the cylinder valve shut and the burners in the off position, confirm that each connection is hand-tight. Once the connections are secured, reopen the gas valve. Check all bends in the gas line, pipe connections at the tank and the burners, and the additional sections of the gas line by applying a soapy water solution with the brush over each location. Bubbling at any point indicates a leak. If the leak is near a connection, shut off the gas valve and attempt to tighten the loose connection. With the burners shut off, open the valve again and recheck with soapy water. If the leak continues, consult your local gas supplier to determine further action. If the leak occurs in the gas line, replace the gas line before further use. Check for potential leaks after the new line has been installed. Contact your local LP gas supplier for additional safety information on storage and handling of LP gas. This article is taken from helpful information from our reinsurance company Grinnell Mutual Reinsurance Company. The information included was obtained from sources believed to be reliable, however Grinnell Mutual Reinsurance Company and its employees make no guarantee of results and assume no liability in connection with any training, materials, suggestions or information provided. It is the user’s responsibility to confirm compliance with any applicable local, state or federal regulations. Information obtained from or via Grinnell Mutual Reinsurance Company should not be used as the basis for legal advice or other advice, but should be confirmed with alternative sources.